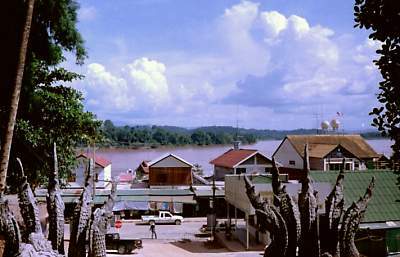 Sop Ruak is located at the Golden Triangle, the borderpoint of Laos, Thailand and Myanmar. Main attractions: The Golden Triangle and What Phrathat Phukao. Sop Ruak is a small village in the Chiangsaen District, Province Chiangrai. Photo: Sop Ruak at the Golden Triangle, the borderpoint of Laos, Thailand and Myanmar. 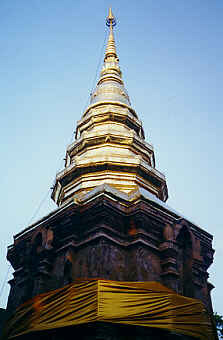 Photo: Chedi of Wat Phrathat Tschom Kitti, Chiang Saen, Chiang Rai province (northern Thailand).